Our Process Servers and Enquiry Agents serve legal documents in West Yorkshire on a daily basis. If you are looking for a Process Server in the Halifax area then we can assist you immediately. 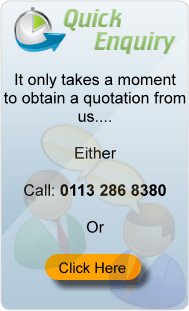 To arrange service in this area call 0113 286 8380 or click here. PB Process Servers UK is trusted by Law Firms, Councils, Companies and Private Individuals throughout the Country to serve legal documents in this area. We serve legal papers in this area for a fixed fee. One of our experienced process servers will attend the address for service shortly after receiving your instructions. Our Process Servers will ensure your papers are served promptly and correctly. We are happy to accept papers for service by email or by post. We can also arrange for collection of the papers if the matter is very urgent. To instruct a process server in the Halifax area click here. Once the papers have been served we will provide you with a sworn affidavit, certificate of service or statement of service. PB Process Servers UK serves documents Nationally. If you would like to instruct a Process Server in the Halifax area click here for further information on how to do so.